The Mandalay Bay Convention Center is broken down into multiple venue types and halls. With a Shark Aquarium, indoor beach and event center, the location type is very diverse. Below we will break down the venue into smaller subunits. -The North Convention Center offers two major ballrooms being the South Pacific and island. The South Pacific offers just under 45,000 square feet of exhibiting space and can be broken down for smaller venues. The island ballroom is smaller with just over 31,000 square feet to exhibit. The North Convention center also offers board rooms and additional space that can double as meeting space. For more information on the North Convention Center and floor, layout look here. -The South Convention Center is another great location for exhibiting within the Mandalay. The location boasts the South Seas Ballroom with just under 50,000 square feet of exhibiting space. Additionally, the location is on the third floor and has a Jasmine room that can be used for a further 9,000 square feet. If meeting/setup space is needed 5 large rooms are available for use. These are Admirals, Commanders, Explorers, Outrigger and Voyage Boardrooms. For more information about the location look here. -In connection with the South Center, the second level offers the Shoreline Exhibit Hall, Oceanside Ballroom and Mandalay Bay Ballroom. The three areas make up a majority of the floor and additional meeting space is available. The second level also has a service area that provides a business center and an additional space for storage. Look here for the floor plans of the facility. -The largest and final floor of the South Convention Center is located on the first floor. This floor encompasses almost 900,000 square feet of exhibiting space. This is broken down further in Bayside areas labeled A-F. Attached to the first floor is a unique sharkscape ballroom which doubles as meeting space during exhibiting events. Additionally, the space has a FedEx Center food court and docking bays for loading. For floor plan information look here. -A very unique feature of Mandalay is the 11-acre beach located on the premises. This location offers a wave pool, lazy river and private beach cabana’s. Furthermore, the location is great for large scale events that can be held outdoors. If you want more information look here. -An additional feature of this location is the shark aquarium and seascape meeting space. The shark aquarium is 1.6 million gallons and can host up to 1,500 guests and is ideal for private tours. The Seascape location is used for private ballrooms and meeting spaces. With 1,500 square feet of space for meeting room and ability to hold up to 100 guests. For more information on these two locations look here. 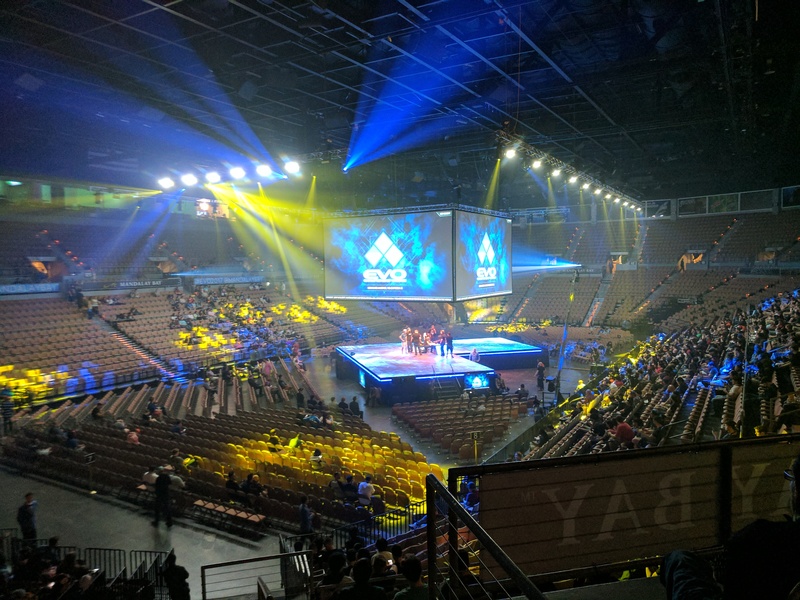 The events center is one of the largest areas of the venue in the Mandalay. With 12,000 seats and 40,000 square feet, the venue is used for many concerts and speakers. The location can also double as additional exhibit space and is fully customizable. For more information on the location look here. Modern Business Experience, International LTC Show, Epicor Insight, ISA Sign Expo, HD Expo, Licensing International Expo, AT Expo, EASA Convention, Globalshop, SuperZOO, AOPA Word Congress, Interbike Expo, AHCA Convention, Medtrade Expo, JCK Annual Tradeshow, BlackHat USA, ChainXChange, International Pool and Spa Expo, Supplyside West. 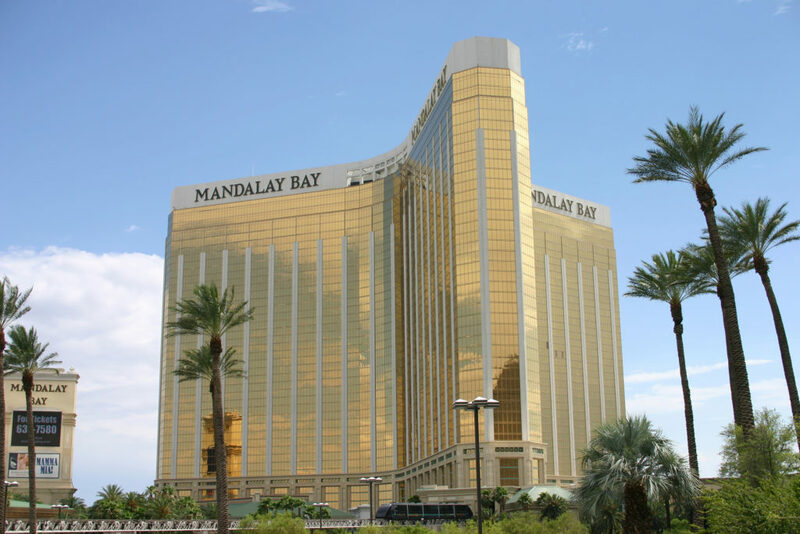 If you are planning on exhibiting at an event being hosted at Mandalay Bay, contact us today for more information on how we can help. Learn more about other venues in Las Vegas: Wynn, Westgate, Caesars Palace, Las Vegas Marriott, Las Vegas Convention Center, Mirage, MGM Grand, and Sands Expo & Convention Center.